The Roses market basket combines classic style with practical function and plenty of space to hold everything your daily adventures may require. Pack it with a beach towel, sunscreen, and a good book for a day at the beach or a few toys, snacks and a blanket for a fun day with your kids at the park. 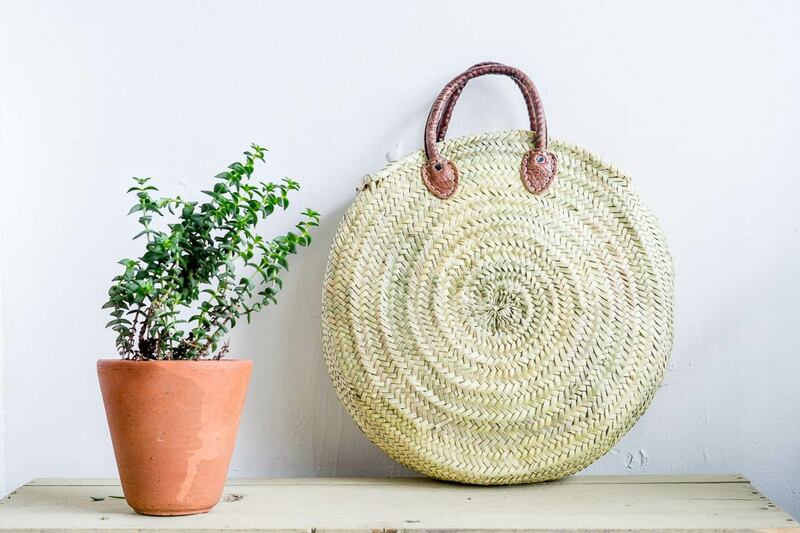 Handwoven from durable yet flexible palm leaves, our Roses basket-style tote features two rounded leather handles for easy and comfortable carrying by hand or elegantly slipped over your forearm.